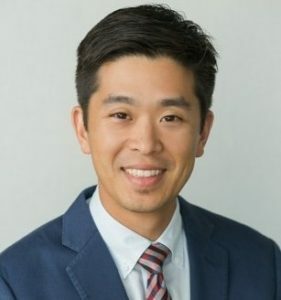 HARTFORD – November 13, 2018 – After an extensive national search, the Connecticut Coalition to End Homelessness (CCEH) Board of Directors has appointed Dr. Richard Cho as Chief Executive Officer effective November 26, 2018. Dr. Cho brings 20 years of experience in the housing and homelessness sector. From 2013 to 2016, Cho served as the Deputy Director at the United States Interagency Council on Homelessness, the federal agency that coordinates the federal response to homelessness. At USICH, Dr. Cho was responsible for coordinating the efforts across 19 federal departments to implement Opening Doors, the federal strategic plan to end and prevent homelessness in America, and played a key role in the national push to end veteran and chronic homelessness. He also held several positions at the Corporation for Supportive Housing, where he spearheaded the development of supportive housing models and policies for people experiencing homelessness, veterans, justice-involved populations, and other vulnerable populations. For the last two and half years, Cho has been helping to lead national efforts to improve police interactions with people with mental health needs, and to reduce the number of people with mental illnesses in jails, including helping to increase connections to stable housing. He currently serves on New York City Mayor Bill de Blasio’s Crisis Prevention and Response Task Force, as well as the Kings County/Brooklyn (NY) District Attorney Eric Gonzalez’s Justice 2020 Committee, Mental Health Subcommittee. He brings a breadth of national and regional experience to the role. “I am thrilled and honored to join the Connecticut Coalition to End Homelessness as its new leader, and to work with its members and partners to end the tragedy of homelessness in our state. It is especially meaningful to me that when we succeed, the families, children, and individuals who will have homes will be my own neighbors, here in the state I have called home for more than a decade,” said Cho, who lives with his wife and two children in Hamden. The search was conducted with support from NPAG, a national firm that partners with mission-driven clients in the nonprofit and public sectors to deliver deep and successful senior and executive-level transitions, and was made possible through the generosity of the Community Foundation of Greater New Haven, the Community Foundation of Eastern Connecticut, Fairfield County’s Community Foundation, the Hartford Foundation for Public Giving, and the Melville Charitable Trust. The Connecticut Coalition to End Homelessness, in partnership with members and communities throughout the state, creates change through leadership, advocacy, and building the capacity of members and the field to prevent and end homelessness in Connecticut. Learn more about by visiting cceh.org.